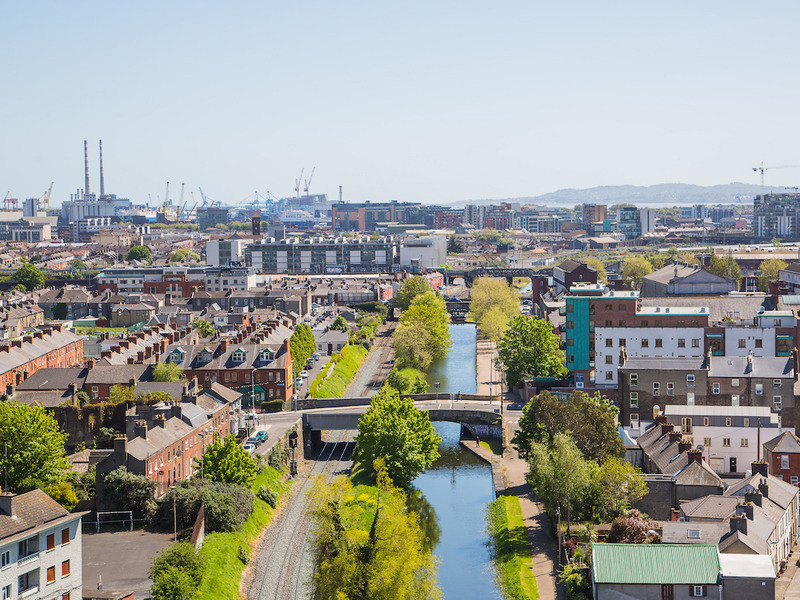 Average property prices in the Republic of Ireland have risen 40% over the past five years, a significantly higher increase than those seen in both Northern Ireland and the UK overall, according to a new Wealth Report by Daft.ie. The average price of a residential property in Ireland was €230,000 in the first quarter of 2017, up 40% from €165,000 five years ago. In comparison, average UK house prices rose roughly 30% in the five years between January 2012 and 2017, while prices in Northern Ireland rose only 18%. The total value of all 1.7 million occupied residential properties in Ireland is now nearly €400 billion, and there are almost 4,000 ‘property millionaires’ — or people whose homes are worth €1m or more. On average, 12 properties are sold every week for €1m or more. The report found that the most expensive markets are all in the capital: Dublin’s Sandycove region is the most expensive area in the country, with an average price of €787,000, followed by the Foxrock and Mount Merrion regions, which have average prices of €759,000 and €748,000 respectively. Daft.ieThe 10 most expensive streets in Ireland, according to the report. 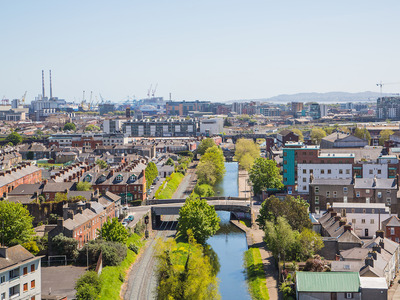 “Real estate forms the biggest chunk of Irish wealth, providing a natural source of funding for public services that are tied to particular locations, such as schools,” said Ronan Lyons, economist at Trinity College Dublin. “What is clear from the figures published in this report is that housing wealth is concentrated in urban areas. By connecting this information on public spending, it is possible to see whether all areas are getting their fair share of public monies,” he said. The two least expensive markets are both in Roscommon, in the north of the country: Ballaghaderreen has an average property price of €58,000, and Strokestown is next at €59,000. 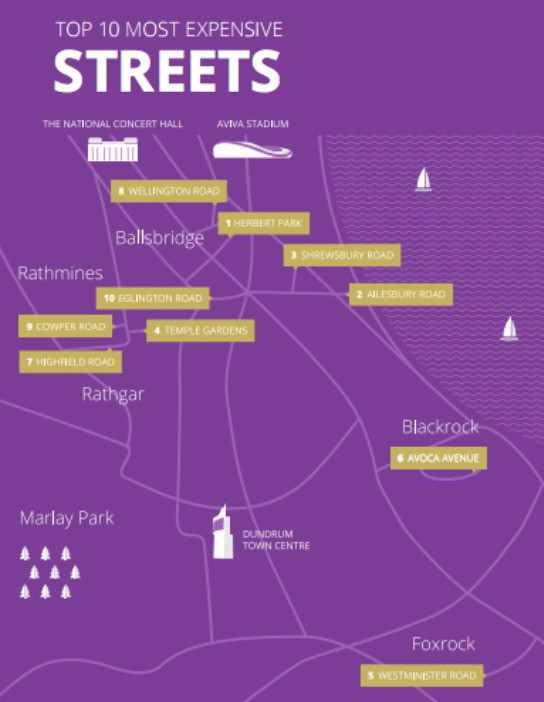 Herbert Park in Pallsbridge was found to be the most expensive street in 2017, and had five properties sold for €3 million or more in the last 18 months. The most expensive sale of 2017 to date was an eight bedroom property on Fintragh Shrewsbury Road, in Dublin, which sold for €8.2 million.